Winnipeg students modelled outfits made out of recycled materials at St. Vital Saturday. 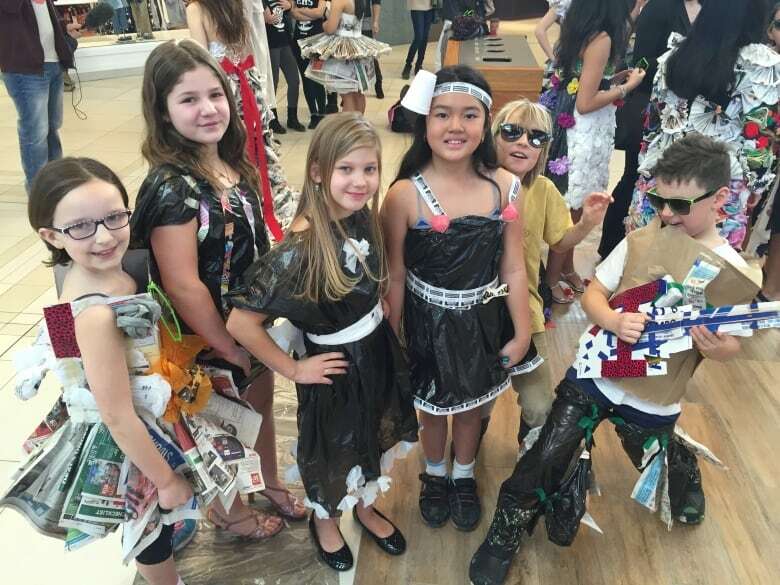 Winnipeg students modelled outfits made out of recycled materials at St. Vital mall Saturday. The event was part of Take Pride Winnipeg's Eco Awareness Day. Ninteen students of all ages took part in the event. 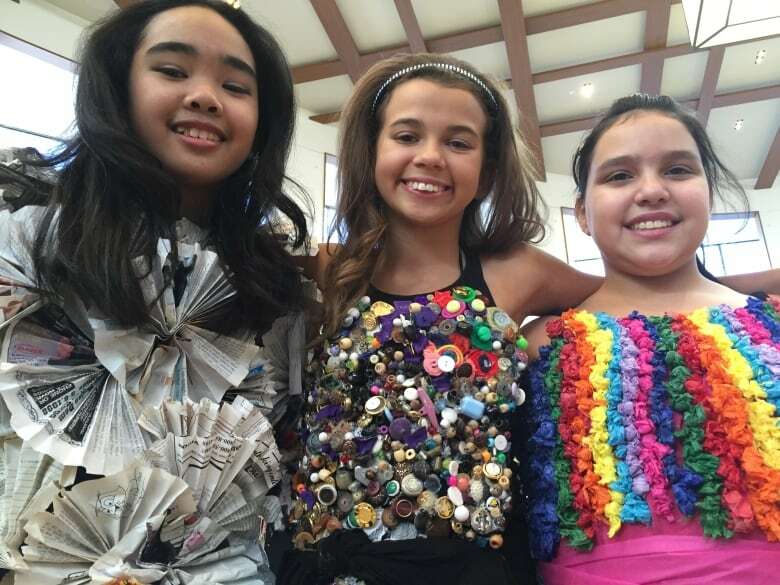 They were asked to design outfits made out of recyclables and other items that would typically end up in the landfill. Thirteen-year-old Shanaya McMillan constructed an outfit made out of plastic flowers and wine corks. "I think the [most fun] part was just kind of [trying to] put it together — we had to use a lot of hot glue," McMillan said. "We used wood machines to cut the corks. We learned a lot from it, too. It's just a great experience." Organizers said the event was designed to help raise awareness about reducing, reusing and recycling.